Bi-colored flowers of this African violet (Saintpaulia species) have white petals with contrasting purple borders. African violets (Saintpaulia species) are excellent indoor flowering plants. Available in many flower colors, they produce flowers year-round under the proper growing conditions. Individual flower clusters may last three to six weeks under good conditions. Double or semi-double rows of flower petals are available on many of the newer varieties. Bicolored flowers and those with contrasting borders are also popular. Miniatures and trailing cultivars are also available. Soil Mix & Container: African violets require a soil mix that is well-drained. Commercially prepared packaged soil mixtures are available for African violets. 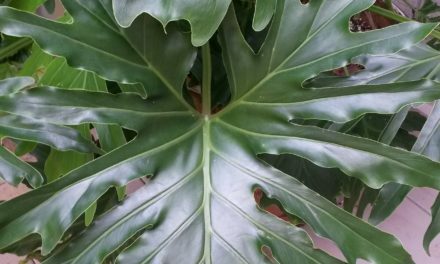 Excellent plants can be grown in mixtures containing equal parts (by volume) of soil, peat and horticultural-grade perlite. Clay or plastic containers are both satisfactory, but the type of container has an important effect on the frequency of watering. Clay pots require more frequent watering than plastic since the amount of evaporation is greater. Decorative glazed pots without drainage holes should not be used due to the lack of drainage. Sterilized soil and containers are important. Some varieties of African violets (Saintpaulia species) have interesting variegated foliage. Watering: One of the most common problems of African violets is excessive watering. African violets are very susceptible to crown and root rots. They may be watered from the top or bottom. When watering from the top, apply enough water to thoroughly saturate the soil. Allow excess water to drain from the bottom of the container. Cold water that comes in contact with the leaves of African violets can cause white blotches. To water the plant from below, place the container in a tray containing about 1 inch of water. When the soil surface becomes moist, remove the pot and discard excess water. Light & Temperature: African violets prefer a bright area in the home that does not receive direct sunlight in the afternoon. Place plants within 3 feet of large south-east-or west-facing windows. Lack of flowering is one of the most common problems and is generally due to inadequate light. Flowers may last three to six weeks under good growing conditions. African violets can also be successfully grown under artificial light. Fluorescent lamps give the best results. Plants grown entirely under fluorescent lights should be placed 6 to 12 inches below two 40-watt tubes for 15 to 18 hours per day. The best temperatures for growing African violets are 65 to 70 °F at night and up to 80 to 85 °F during the day. Fertilizing: Commercially prepared water-soluble fertilizers that contain the nutrients African violets require for growth are available. Before applying the fertilizer solution, water the plant from above to wet the soil. 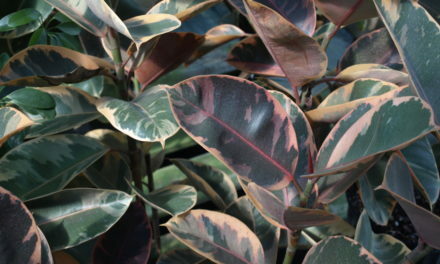 Lower, older leaves that turn yellow and a reduction in growth rate usually indicate that fertilizer is needed. For more information about fertilizing see HGIC 1450, Indoor Plants – Cleaning, Fertilizing, Containers & Light Requirements. African violets are highly subject to root and crown rot if they are overwatered. Use only warm water because cold water causes spots on the leaves. 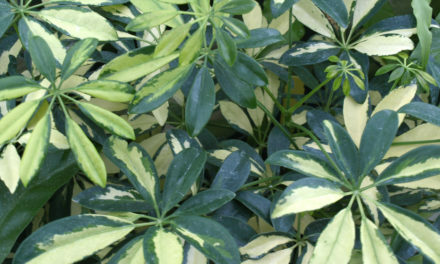 Yellow or white ring and line patterns on leaves are also caused by contact with cold water. 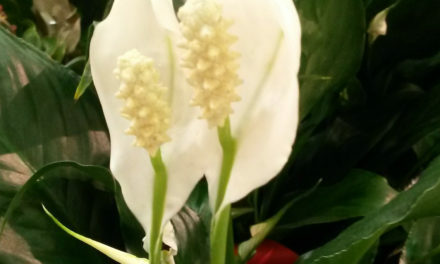 For more information about watering see HGIC 1459 Indoor Plants – Watering. African violets (Saintpaulia species) grow best when temperatures are 65 to 70° degrees at night and up to 80 to 85° degrees during the day. Leaf stems in contact with clay pots may be killed by accumulated salts on the pot. Thin, dark green leaves with long petioles or a reduction in flowering are an indication of inadequate light. African violet pests and diseases spread very easily among other violets. Be especially watchful for crinkled tight crowns – a possible sign of incurable cyclamen mites. Another common insect problem is mealybugs. More information about African violets is available in the fact sheet HGIC 2250, African Violet Diseases & Insect Pests.